VIDEO: Does Conan O’Brien have a long-lost son? He does look suspiciously like Conan O’Brien. Is this college student really the TBS star’s illegitimate son? 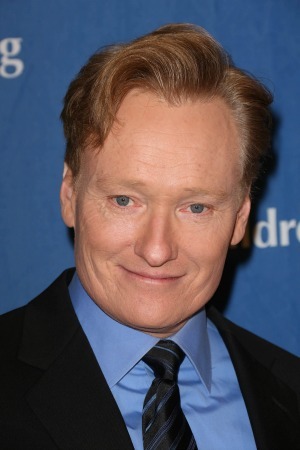 Does Conan O’Brien really have a long-lost son? That’s what one Temple University junior is claiming in a viral video that’s making the rounds on the internet. While the college student does look remarkably like the late-night host, Greg Keating’s evidence seems pretty flimsy. In the tongue-in-cheek video, Keating sits at a table dressed up in a suit much like O’Brien does each night on his TBS show. He explains that his mother once worked at 30 Rockefeller Plaza in New York in the early 1990s when the comedian began hosting The Late Show. Reportedly, his mother was fired after getting pregnant. Now Keating is looking for his dad. It’s pretty apparent that the university student is an aspiring comedian hoping for some press. While there probably won’t be a paternity test anytime soon, he did manage to get a social media response from O’Brien. The red-headed star clearly did get the last laugh. Watch Greg Keating’s video about Conan O’Brien.